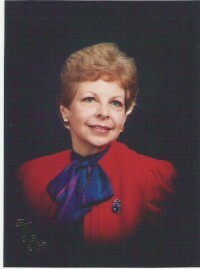 Patsy Evans Pittman s stories and poems were first published in a children’s weekly while she was still in elementary school. Her next publication, however, did not occur until many years later, after a thirty-year career with GMAC. Since then, her short stories and poems, many of which are included in this collection, have been published in FIRST for Women, Woman s World and Grit, among others, as well as in several anthologies. Her non-fiction has appeared in Guideposts Books, Cup of Comfort, Ideals, Country Woman, and others. She has won numerous awards from Writers Digest, West Virginia Writers, Midwest Writers, Alabama Writers Conclave and Barbour County Workshop, and received a 2007 Fellowship in Literature from the West Virginia Commission on the Arts. Mrs. Pittman and her husband Stanley live in Vienna, West Virginia, within a few miles of her birthplace. Between them, they have six children and fourteen grandchildren.